It’s a surprise Darksiders 3 exists. Although Darksiders and Darksiders 2 were critically acclaimed, financial troubles sunk series publisher THQ as well as developer Vigil Games, ensuring the action-adventure franchise would be on indefinite hiatus. That is until Nordic Games (now THQ Nordic) took over the IP and tasked Gunfire Games — a game studio consisting of ex-Vigil employees — to bring Darksiders 3 to life. What’s even more shocking is that Darksiders 3 could very well be the best game in the series thus far. Despite having a ‘3’ in its title, the events of Darksiders 3 take place parallel to the previous titles. This means it shares a similar premise too, taking place a colossal war between angels and demons has caused the end of humanity on earth. Amidst this, you control Fury, the third of the Four Horsemen of the Apocalypse — a logical step, considering the first and second game had you as War and Death, the first and second of the Four Horsemen respectively. 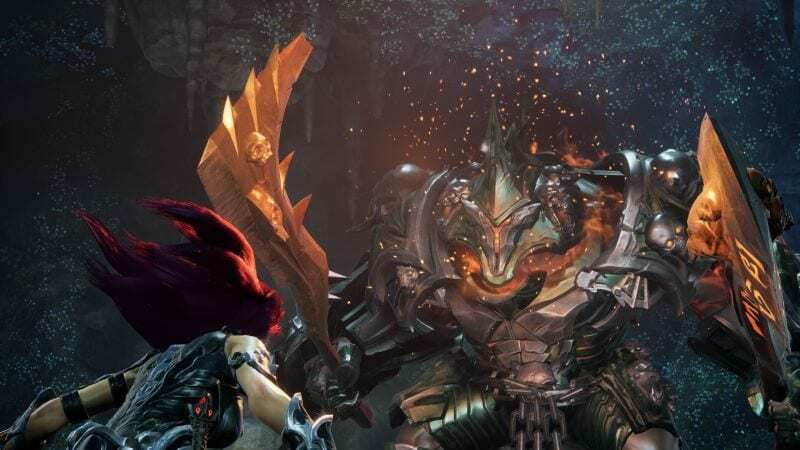 The story of Darksiders 3 has Fury tasked with slaying the Seven Sins who have made this post post-apocalyptic version of earth their home. 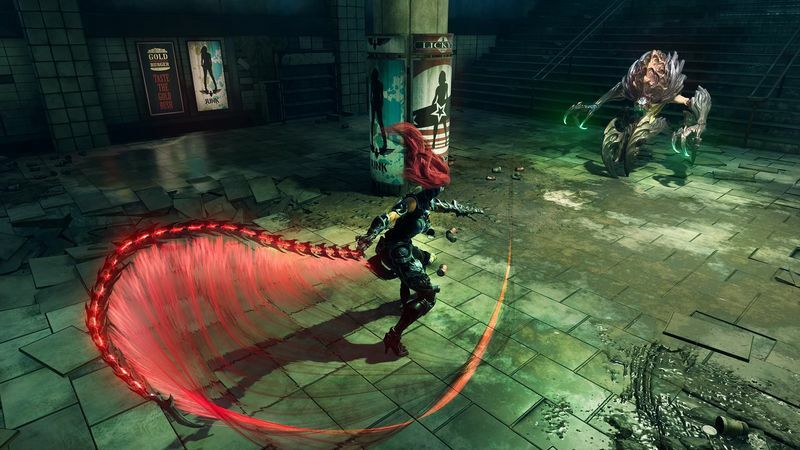 Like past games, all is not what it seems and before you know it, the events of Darksiders 3 take some interesting twists and turns. Without spoiling much, Darksiders 3 ends up being an interesting tale regardless of your exposure to past titles as you explore every nook and cranny of its sprawling world for the Seven Sins. your attacks such as temporary invincibility. There’s a slight learning curve to controlling Fury, particularly if you’re used to fast-paced fare like the aforementioned Bayonetta and Devil May Cry games, as dodging feels just a bit slower. Though once you’re used to it, there’s little in the way to stop you from seeing all that there is to discover. going into every situation. Hopefully this is fixed in a future update. This caveat aside, Darksiders 3 is quite enjoyable. The visuals are fantastic with well-detailed characters and environments. Playing it on a laptop with an Intel Core i7-7700HQ processor (2.8GHz), an Nvidia GTX 1060, 128GB SSD, and 16GB RAM, Darksiders 3 rarely dropped below 60 frames per second at 1080p with all settings maxed out. While keyboard and mouse controls for the game work as they should, we’d recommend playing this with a controller due to how much more intuitive it is for this kind of title. if you’re not a fan of the series. It’s a surprise Darksiders 3 exists. And a welcome one at that.